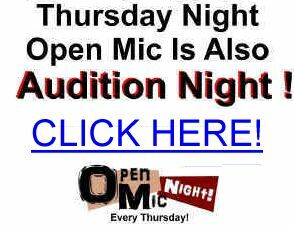 Open Mic Gainesville 's Open Mic night "Done Right" Come to listen or come to play! IMPORTANT! "Open Mic Done Right" has retired! Our VERY LAST open mic, our final farewell, was held on Friday, Sept 28, 2018. 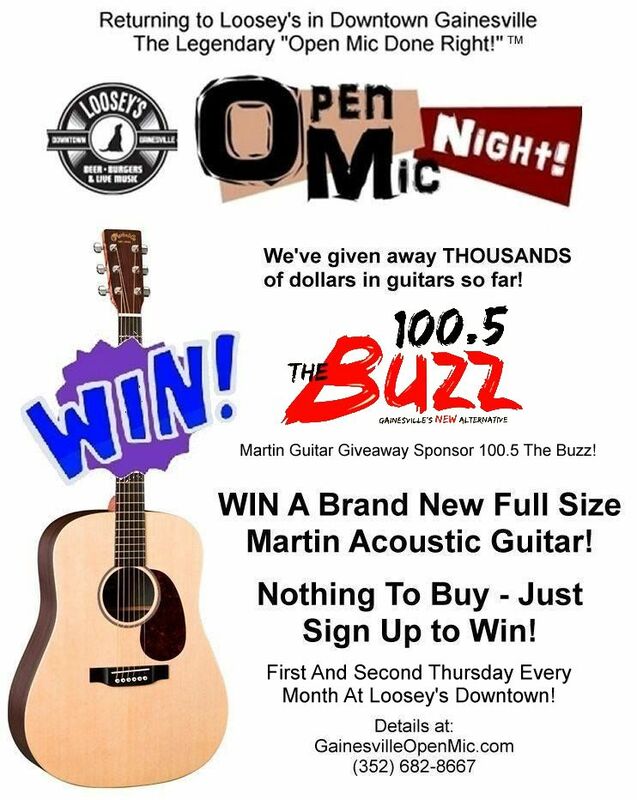 First and second Thursday every month at Loosey's Downtown in Gainesville, Florida - hosted by songwriter Randy Lee Holt. WIN - NEW full size Martin Guitar will be given away - we've already given away NINE brand new Martin guitars! Each night you sign up to play at the "Open Mic Done Right" you can enter your name in the FREE guitar prize drawing! More details here! Loosey's features a full bar and great pub food! NO Cover Charge! IMPORTANT! "Open Mic Done Right" has retired! Our VERY LAST open mic, our final farewell, was held on Friday, Sept 28, 2018. "Open Mic Night-Done Right!" at Loosey's - 120 SW First Ave Gainesville Fl. Walk-in signup at 7PM and music starts at 8PM. NEW performers always welcome! "The Weight" Open Mic Night "Family Sing Along"
First Martin Guitar WINNER - Accepting A Brand New Martin Acoustic! Jan 12, 2012 - Second Guitar Winner Receiving A New Martin Acoustic! A "Ham Radio" 3Y0Z DXpedition Page!